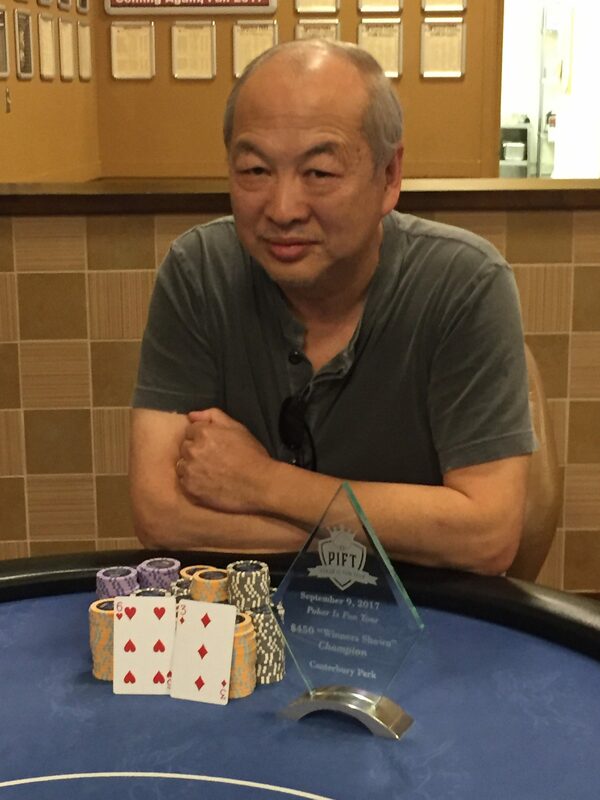 Your first ever Poker Is Fun Tour Champion, Peixin Liu! Piexin Liu bested a field of 82 tough players who gathered at Canterbury Park in Shakopee, MN, to play PIFT’s $450 “Winners Shown” event. Action started off fast and furious as players mixed in lots of bluffs and played hard nosed poker. 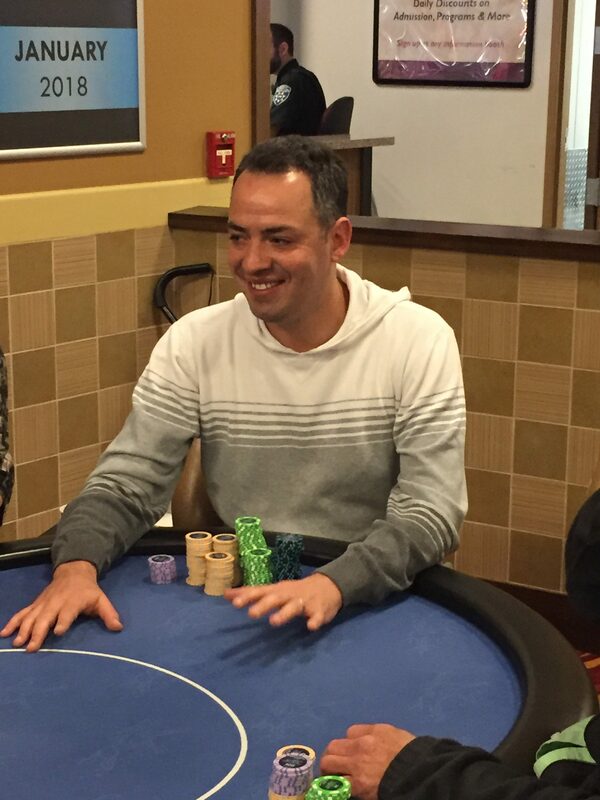 We saw Waz Waz jump out to a huge stack early on, which propelled him to a 6th place finish for $1,574. Many other notables helped create a star stacked final table including WSOP bracelet winner John Reading, MSPT champ Mike Wilmes, 2016 MPC Main Event champ Joe Barnard, and several other big names in the Minnesota cash game scene such as Mark “Dmark” Dunbar and “Jayrockets” Melancon. But the final table belonged to Peixin Liu — he started as one of the big stacks and never let go of that grip. Join us tomorrow, September 10th, for the $180+$5 “Winners Shown” event that starts at 1pm! Late registration closes at approximately 4pm. View event details by clicking here. On the board of 6♦ 3♥ 2♠ J♣ Liu and Caspers got all the money in. Liu’s 6♥ 3♦ was in front of Caspers’ J♠ T♦, but Caspers was still drawing live. Unfortunately for him, the river was a Q♣, thus knocking him out in 2nd place for $5668. After the break, players return to 2500/5000 and a 500 ante. And just like that, we’re heads up! Tyler Caspers got it all in preflop with pocket jacks against Mike Wilmes K3, and John Reading’s A6, and Caspers’s jacks held up. Both Wilmes and reading were small stacks in the 10-15 BB range. Mike Wilmes got 4th, John Reading 3rd, due to Reading having Wilmes outchipped. Chip counts of our heads up combatants, Tyler Caspers and Peixin Liu are forthcoming! Szewc open raised, Peixin Liu moved all in and Szewc called after a 10 second delay for nearly 190,000 total. Liu’s A♥ Q♥ was in a classic race against Szewc’s 7♥ 7♣. An ace on the flop sealed Frank’s fate, as he gets to take home $2,204 for his efforts. First place is worth $8,501, 5th is worth $2,204! John Reading opened to 8000 on the button, and Tyler Caspers defended his big blind. The flop of 9♣ 6♣ 7♥ saw a Caspers check, a Reading bet of 12,500, and a Caspers call. The turn A♣ turn produced a check from both players. Caspers fired out a 22,000 bet on the river, which got called by Reading. Casper’s A♥ 7♥ for aces up took down the pot. On a flop of 7♠ 6♦ 3♥ and about 20,000 chips in the pot already, we find Szewc all in for about 180,000 chips against Peixin Liu, the only guy at the table who could bust him. Liu gives it some consideration before eventually folding pocket tens face up. As per the rules of this tournament, Szewc has to show, and to the disappointment of Liu, Szewc reveals 8♦ 7♦. John Reading open raised under the gun, Szewc called next in, Peixin Liu called in the cut off, and Waz Waz stuck his remaining ~100,000 all in. Szewc was the lone caller, and was in real good shape with K♦ Kc] against Waz Waz’s J♠ T♠. A Q♣ 2♣ J♥ flop gave Waz Waz some hope, but the 2♠ and 3♥ rolled off the rest of the way to take Waz Waz out of this inaugural event in 6th place. And just like that, Szewc has went from one of the smaller stacks at the table to one of the larger, sitting with over 220,000. 5 are now left, with 5th getting $2,204. Our average chip stack is 164,000 — just about 55 big blinds! 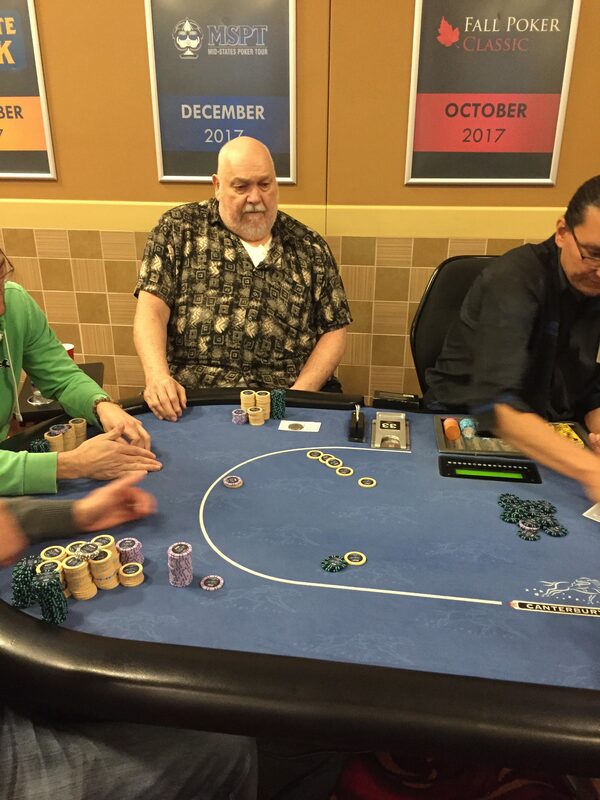 Frank Szewc got about 30,000 in preflop vs Waz Waz, then bet his remaining 25k on the AQx flop, only to find out his cowboys were trailing Waz Waz’s AT. Things changed quickly though when a king landed on the turn. 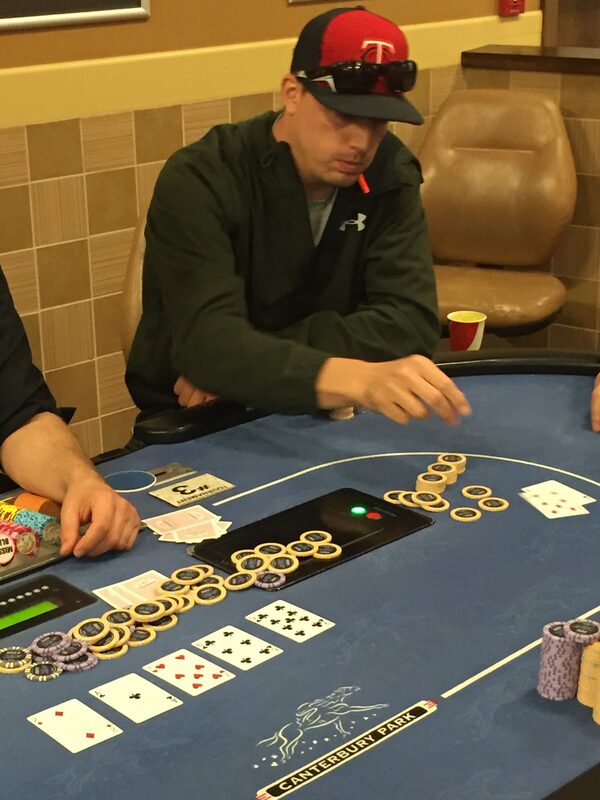 The river couldn’t let Waz Waz catch up, leaving Waz Waz with about 55,000 less to his stack.